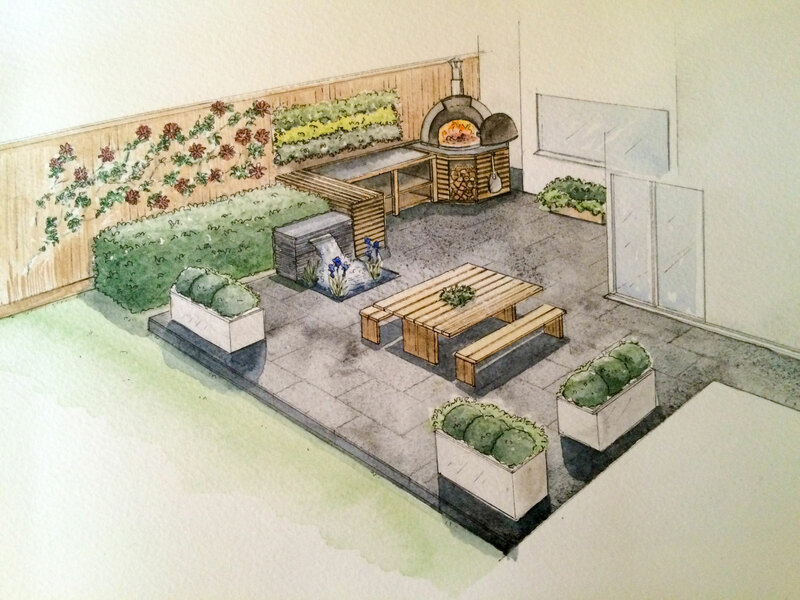 To create an exterior cooking and entertaining area that was an extension of the kitchen, for a client with a passion for cooking. 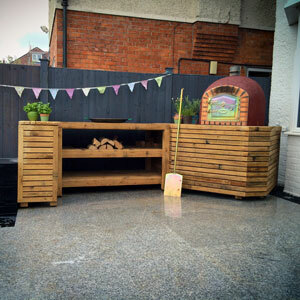 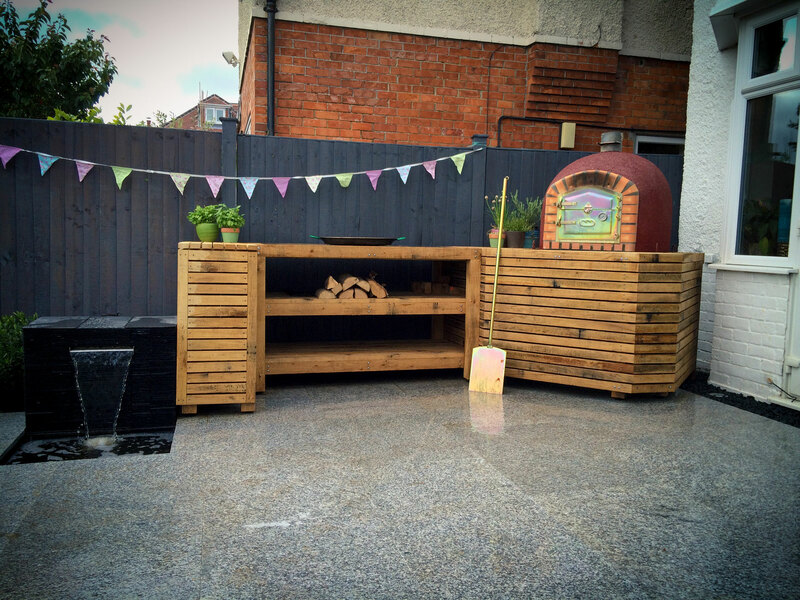 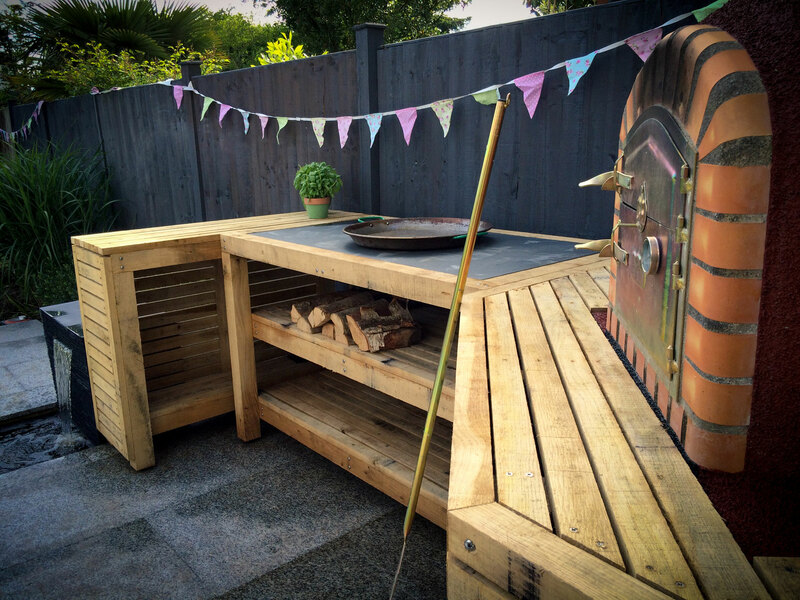 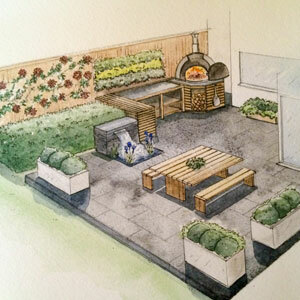 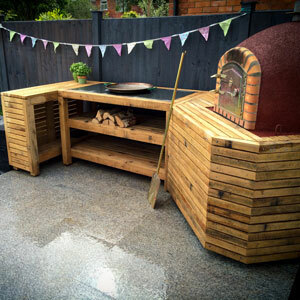 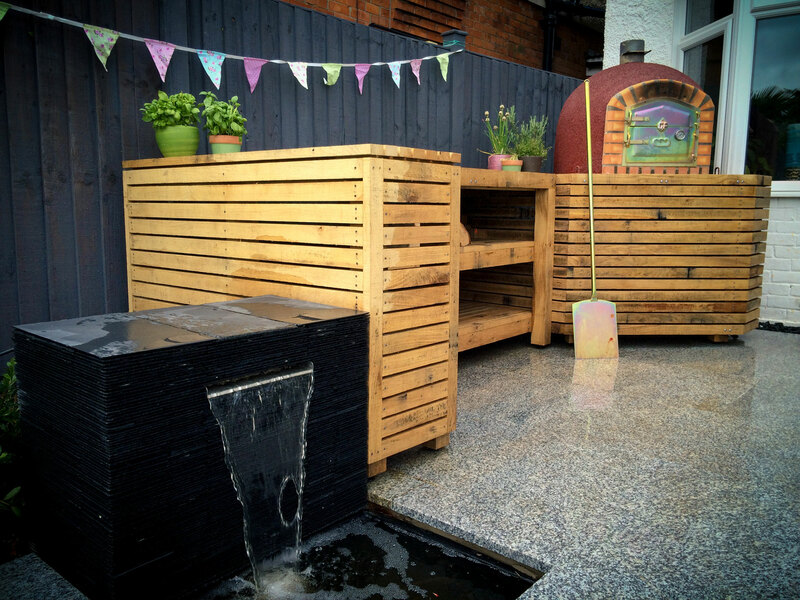 The vision of alfresco cooking and dining inspired the idea of an exterior kitchen unit with a built in pizza oven. 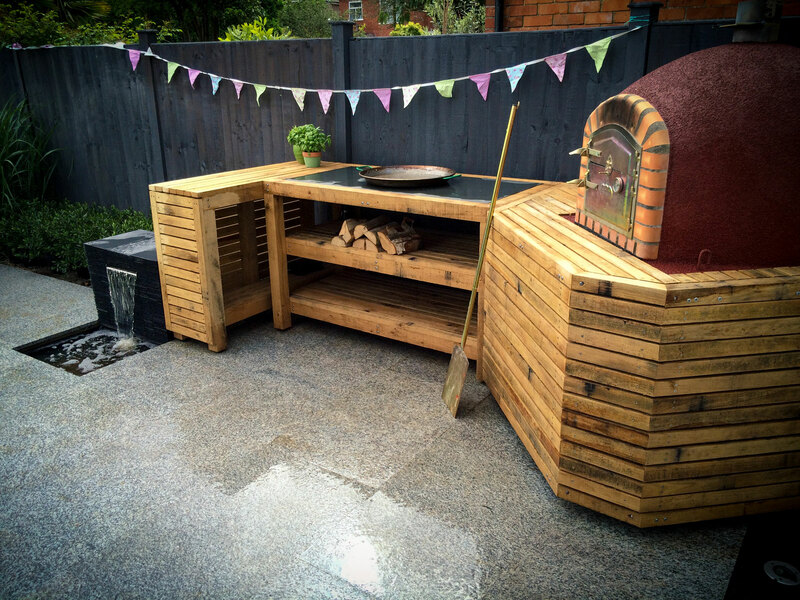 The oak kitchen was custom built to the client’s specification with ample worktop space for preparing and creating pizzas. 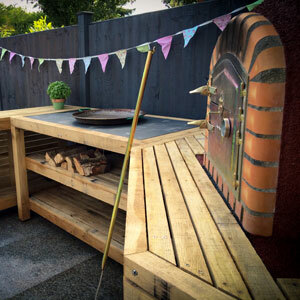 The patio area needed to be hard-wearing, so a light granite was selected as this would also complement the other aspects of the design. 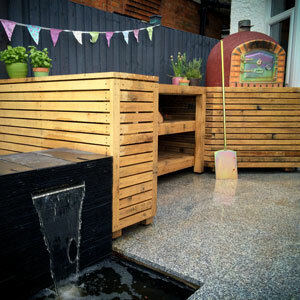 The tranquil sound of a bespoke slate water-feature is relaxing, as well as working as a key feature within the design.